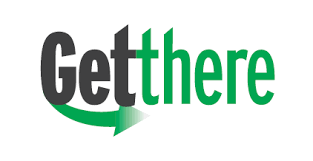 Getthere, a mobility management program of the Rural Health Network of South Central New York, recently announced the release of their new website. The website, www.gettherescny.org, provides a plethora of helpful resources, such as Transportation providers, rideshare information, planning documents, and other publications and information pertinent to the community of healthcare professionals, transportation planners and individuals seeking transportation information. The website is being touted as a “one-stop shop” for transportation information for professionals and residents of ten counties across the southern tier of New York. Transportation information is provided for the following counties – Broome, Chemung, Chenango, Cortland, Delaware, Otsego, Schuyler, Stueben, Tioga and Tompkins. The highlight of the website is an online tool kit for trip planning in the ten county region. Area residents and professionals will be able to enter addresses for both starting point and destination, along with options for individual needs, such as wheelchair access, and receive a list of options for transportation, as well as price ranges. The options include volunteer providers when available, private and public transportation options, as well as contact information for transportation providers. Additionally, users will be able to access the Medical Answering Services link for Medicaid transportation to set up rides online. For individualized transportation plans or information on financial assistance, an individual or their advocate can access Getthere staff by contacting the Getthere Call Center at 1-855-373-4040, Monday through Friday from 7 a.m. to 7 p.m. Established in 1998, the mission of the Rural Health Network of South Central New York is to advance the health and well being of rural people and communities. Network services and programs address critical rural health needs, including improving access to health care, chronic disease education and prevention, support to organizations addressing health needs through the Rural Health Service Corps AmeriCorps and VISTA Programs; regional food security, and population health. Be the first to comment on "Transportation tool kit helps ten county residents plan medical trips"